The Water Store carries all makes and models of filters. A carbon backwash is a water treatment appliance for the whole house. It reduces chlorine, TCE’s, THM’s, pesticides, herbicides, bad tastes and odours, sand and silt. It is designed primarily for municipal water but can be used in certain rural applications. This is a low maintenance system with no filters to change. It automatically cleans itself on an as needed basis so that you will have a continuous supply of filtered water in your whole home. The carbon media will last from 5-7 years and then needs to be replaced. For clean, chlorine free water the carbon backwashable filter is a must. 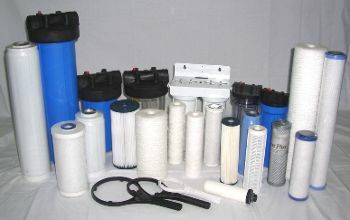 The Water Store can customize your whole home backwashable filter for your specific needs. From rural wells to municipal homes, we can provide a maintenance free backwashable unit to treat your water. Contact The Water Store for a free water analysis.